How to connect SoundSeeder via portable Hotspot - soundseeder.com | Play music simultaneously on multiple devices. 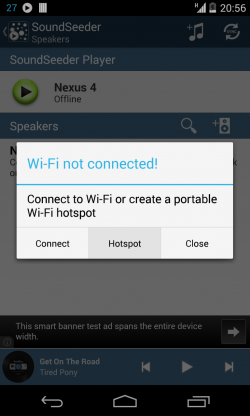 You can use Androids built-in portable Wi-Fi hotspot to connect your SoundSeeder devices wherever you want. Select one device to be the hotspot. Go to the advanced Wi-Fi Settings of your phone (you can use the shortcut in SoundSeeder) and activate the portable hotspot feature. 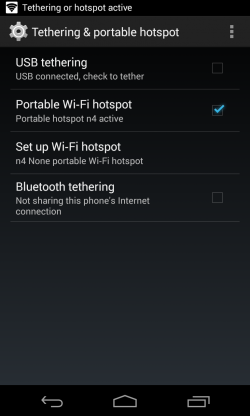 Now all your other devices can connect to this hotspot and run SoundSeeder together.